A chance discovery made on a tour of Anzac Cove provided an immediate link between Gallipoli and Melbourne’s Eastern Suburbs. 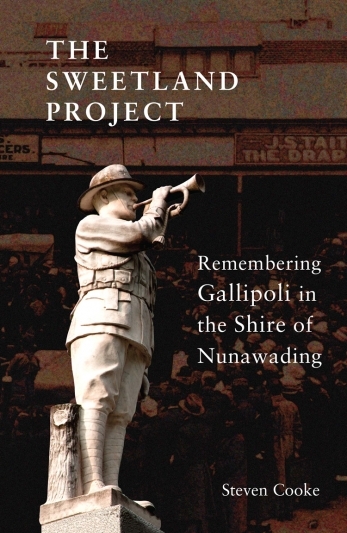 In the lead up to the Centenary of Anzac, ‘The Sweetland Project’ (named after a Box Hill man, Stephen Sweetland) became a broader search for the connections between Gallipoli and the former Shire of Nunawading, revealing 27 men from the former shire who died during the Gallipoli campaign. This book traces their stories and the reaction to the Great War of the local community, and shows how personal and collective memories of their experiences still resonate today. Awarded a commendation in the category of Centenary of World War One at the Victorian Community History Awards 2015.